This week, the Business/Higher-Education Roundtable (BHER) released a research partnership guide, aimed to help more companies and firms navigate new partnership opportunities working with Canadian polytechnics, colleges and universities. Imagine a world where your vehicle drives itself, connects to the Internet, and charges just like your phone. 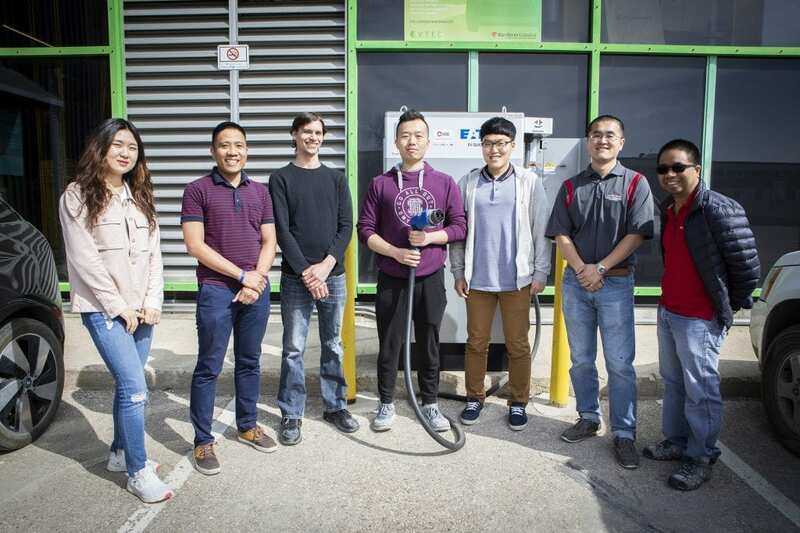 That’s how Joel Turner, a student in Red River College’s Electronic Engineering Technologyprogram, describes the concept that won his group first place in the 2018 Electric Mobility Canada Kia Student Competition. This is the first time an RRC team has won the competition, and the second time the College has entered. Register now and join industry, business, and applied research leaders for this Lunch & Learn to explore how federal support can bring your work to the next level. Get a practical snapshot of the spectrum of federal programming available from exploratory applied research, to pre-commercialization, and support for late-stage procurement and testing. Look no further than Christopher Basilio to get a sense of where the vehicle technology industry is headed. Chris is the Research Coordinator for the Vehicle Technology & Energy Centre (VTEC) at Red River College. Heather Smart, an Applied Research Professional at the Technology Access Centre for Aerospace & Manufacturing (TACAM) based at Red River College, is participating in a panel today at the 17th annual Research Money Conference in Ottawa. Student Research Showcase Project Listings! We are excited to release the list of student applied research projects that will be on display during Applied Research & Innovation Day on April 5, 2018. Space is filling up fast for the event so register now! One of the Technology Access Centre for Aerospace and Manufacturing‘s (TACAM) newest team members, Heather Smart, helped inspire the next generation of engineers at an event this past November. The Committee for Increasing Participation of Women in Engineering (CIPWIE) hosted Manitoba’s inaugural Engineering Badge Day for Girl Guides on November 12, 2017. The half-day event was enthusiastically attended by over 90 girls of the Girl Guide age group (age 9-11) and approximately 20 Guide leaders. Heather helped with the event and wrote a summary of the event in The Keystone Professional 2018 Spring issue. View the full issue HERE. With the April 4 College Applied Research Development Fund (CARD) application deadline fast approaching, here is the third installment of our “Did You Know” series to highlight some of the projects made possible with CARD support. Mike Myrowich initiated a CARD-funded bio-fuel project in 2010 for the purpose of reducing waste produced by the College.